Doctors Carey & Jones and their staff of dental assistants, provide a variety of dental services to children: During dental appointments, we emphasize and demonstrate important tooth brushing and flossing techniques for your child. We also use local anesthetics and, at times, premedications to relax your child or eliminate pain. Digital x-rays allow the doctor to get a much better view of the teeth and potential dental conditions. The digital imaging software allows the doctor to see a number of different views of the tooth to gain a better understanding of the proper course of management. Digital x-rays provide a great benefit to the patient. Not only are they an excellent diagnostic tool, but they decrease radiation to the patient by over 80%. The Panoramic X-ray is especially effective for viewing development, position, and eruption of primary teeth so we can see all your child’s baby teeth and permanent teeth at one time. It also is helpful when diagnosing Temporomandibular Joint (Jaw hinge) dysfunction, viewing impacted wisdom teeth and is used as a tool for evaluation for braces. 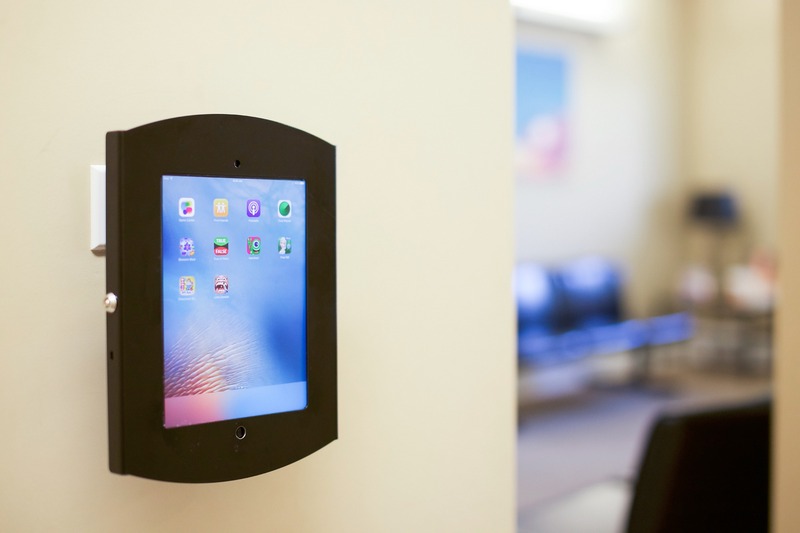 We are proud to offer this state-of-the-art technology to our patients. For children five or older, we often recommend sealants to provide added protection against tooth decay. Molars and back teeth have pits and grooves on their surfaces that trap cavity-breeding food particles, which are often difficult to remove with even the most diligent brushing. Sealants form a clear plastic shield upon the crown, filling the pits and grooves and preventing those cavity traps from forming. A single application of this clear liquid hardens to the tooth’s surface and usually lasts several years. 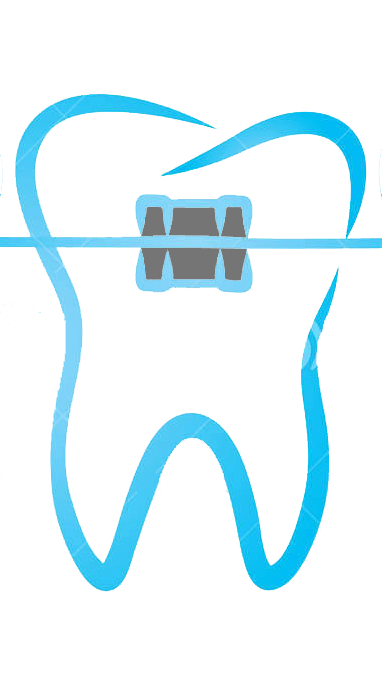 Sealants are typically placed on the permanent six-year molars and then possibly again on the twelve- year permanent molars. 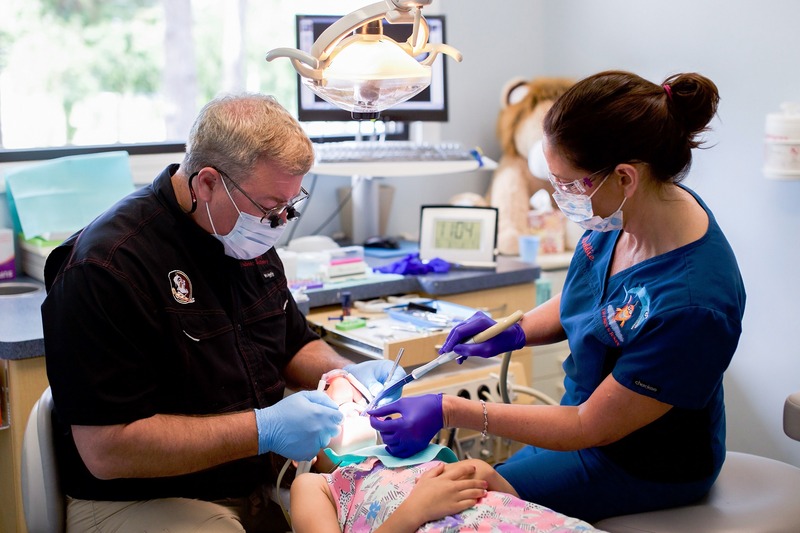 Dr. Carey does NOT use silver amalgam fillings on children. Unless there is severe infection or decay to the root of the tooth, extraction of baby teeth is usually not indicated. Many of the baby teeth remain in the mouth until your child is somewhere between 10 and 12. These teeth are essential for chewing, biting and the overall health of the mouth. Other forms of treatment are available to help preserve these teeth until they naturally come out. When considering orthodontic treatment, Dr. Jones believes in the most conservative methods of treatment for his patients. Extraction of baby teeth or premolar teeth are only necessary when other forms of treatment do not benefit the patient. Wisdom teeth are the third and final set of molars that emerge, usually during the late teens to early twenties. For some people the wisdom teeth emerge through the gums and have enough room to grow in naturally. For others, wisdom teeth often cause problems as they are trying to protrude through the gums. When a wisdom tooth is impacted the tooth is coming in at an angle and not straight through the gum line. This can cause pain, the tooth can come in unevenly, or the tooth may only emerge partially. Impacted wisdom teeth can cause structural damage to the jaw and other teeth. They can also provide a place for bacteria to gather since they are hard to reach and clean. These potential problems make it necessary to remove impacted wisdom teeth so that larger problems do not arise. We routinely screen our patients during their teen years for eruption of these molar teeth. A routine x-ray, called a “panorex”, is taken every five years to monitor the eruption of the wisdom teeth. A dental exam can reveal if there is a need to have the wisdom teeth removed. We do not remove wisdom teeth in our office. Once diagnosed, Drs. Carey and Jones will refer the patient to a local oral surgeon for evaluation.